HP 950 VS 950XL which is better value for money? So you own an HP printer but are confused about the cartridge options? There isn’t much difference between all four of these except for page yields. 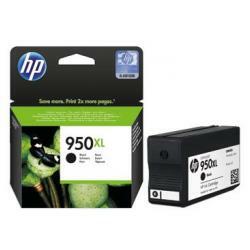 HP950 VS HP950XL are the black ink cartridges, while HP951 VS 951XL are the color ink cartridges. Both the Cartridges are able to work for long time. HP950 is capable to print up to 1000 pages while its advance version 950XL is capable of printing 2300 pages. The huge difference of pages is certainly the reason to buy the HP950XL and it costs much less per page printed so better value for you. Alwyas consider compatible / remanufactured ink cartridges as they generally cost about 1/3 of the cost of genuine HP ink if purchased online, if purchased in a shopping mall probably 2/3 of the cost of original HP cartridges. We recommend House Of Inks as we use them ourselves, click here to buy compatible HP 950xl cartridges at a great price. Many HP printers that can work on both of these cartridges and they are listed below. Both use inkjet technology to print. With black ink the price of HP 950 is $27, while HP 950XL is more expensive because of high yield. The price of HP950XL via online store is $37 (all prices from HP official store in USD). Remember though even with the higher price the cost per page printed will be less than using the HP950 ink cartridge as the price difference is only US$10 but you can print over twice as many pages! If you prefer original HP 950XL (CN045AN) cartridges click here. People who are looking to buy for a lightly used home printer should checkout HP950, while organizations and offices should look for cartridges like HP950XL. If the HP950XL is still not proving enough capacity for your office you will probably need to look at upgrading to a laser printer which user toner rather than ink. You can purchase both mono tone and color laser printer.